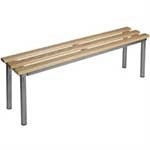 These mezzo bench seats from our Club range are ideal for changing rooms in schools, club houses or factories. A thoroughly versatile option, there are varying heights, lengths and depths to choose from depending on who you are catering for, the standard 450mm high benches are perfect for adult use and you can choose between the 400mm or 350mm bench seating for children or infants. 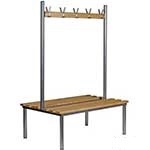 Available in lengths up to 3m, your order can be customised to fit the measurements of your cloakroom. With safety always in mind, the longer lengths come with an additional set of legs to provide extra stability and the benches even include Biomaster antimicrobial protection ensuring your changing room is a comfortable, yet safe, environment. 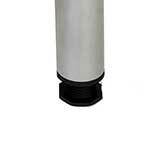 The 45mm round tube legs are supplied with plastic end caps which are perfect for smooth and level floors. 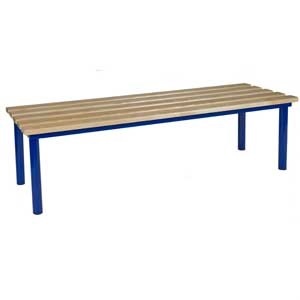 However, if you have sloping or uneven floors we can supply you with adjustable feet and floor fixing cleats to ensure everything fits securely in place. The depth of the bench you require also requires consideration. 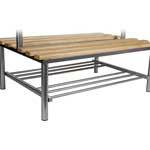 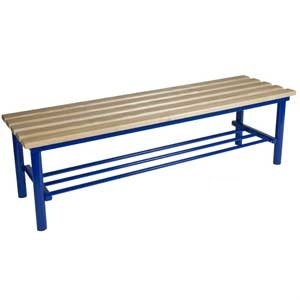 The 325mm deep standard R bench with 3 slats is a popular choice, however Sport England guidelines require a 450mm depth with 4 slats which allows the cloakroom bench legs to be recessed to avoid users stubbing their toes, our R45 bench would be ideal here. 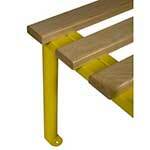 Should you be providing seating for disabled users then choose the 500mm depth R5D changing room bench. 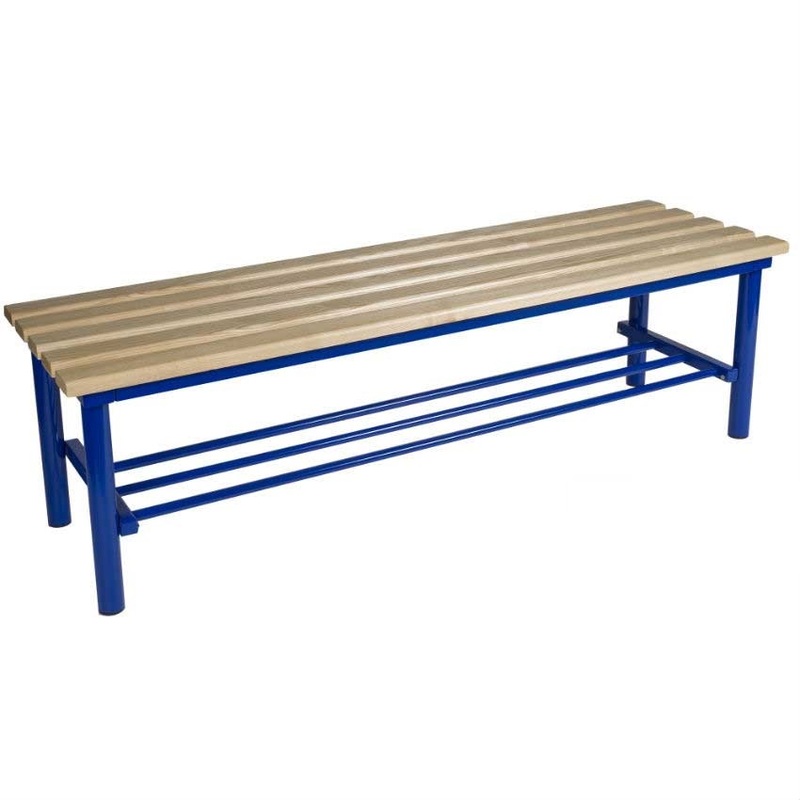 Personalise your changing benches even further, by choosing the frame in one of 8 colours to match your team’s colour or school’s uniform. 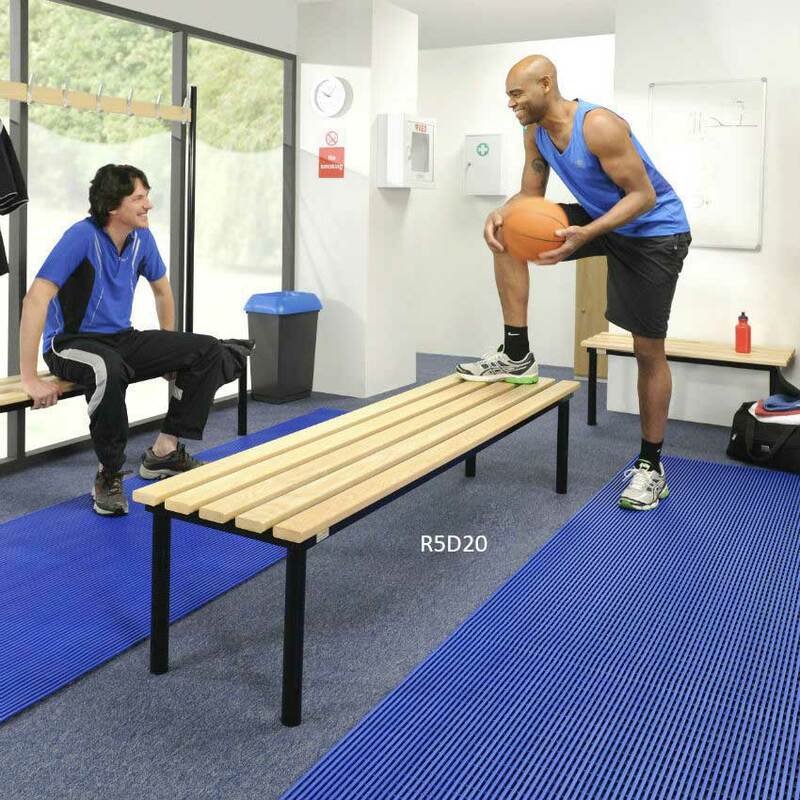 You could even choose different colours for male and female changing rooms.